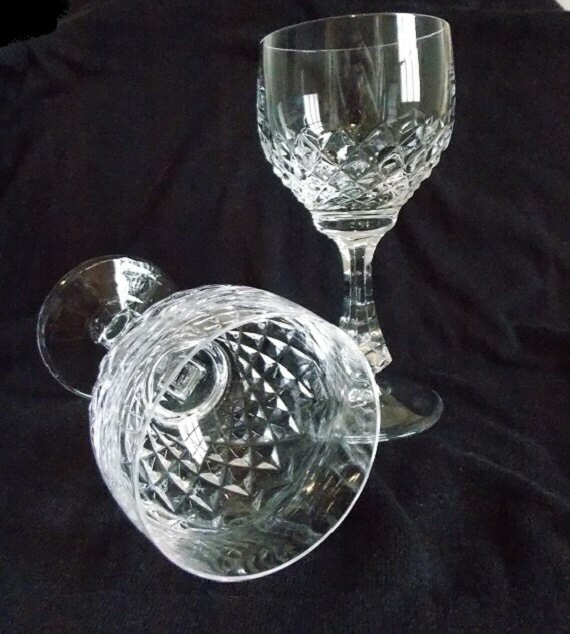 This wonderful pair Peill and Putzler features a criss cross design around the bottom portion of the bowl. 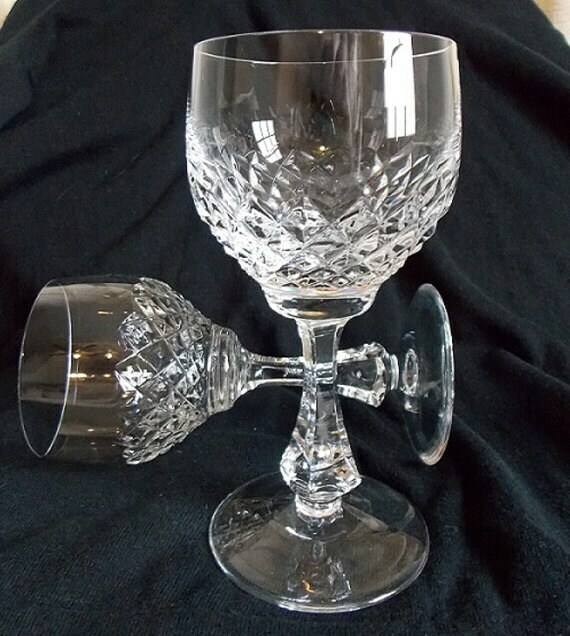 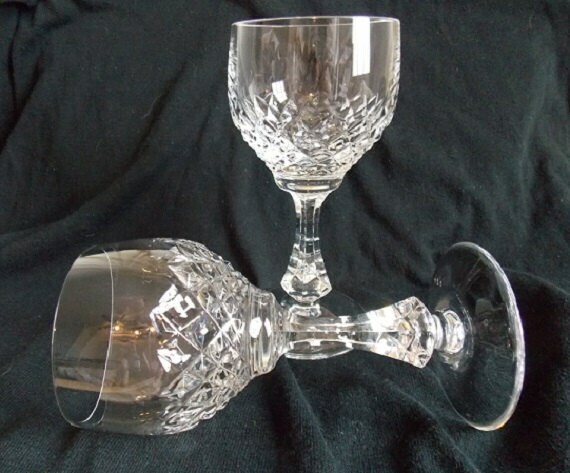 They have a multi-sided clear stem, rim and round base. 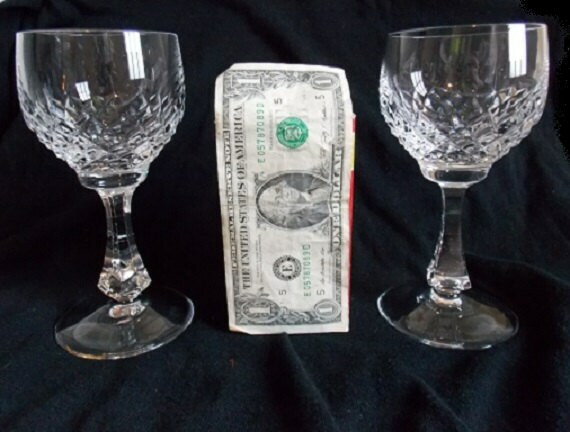 These weighted glasses have a nice ring to them. 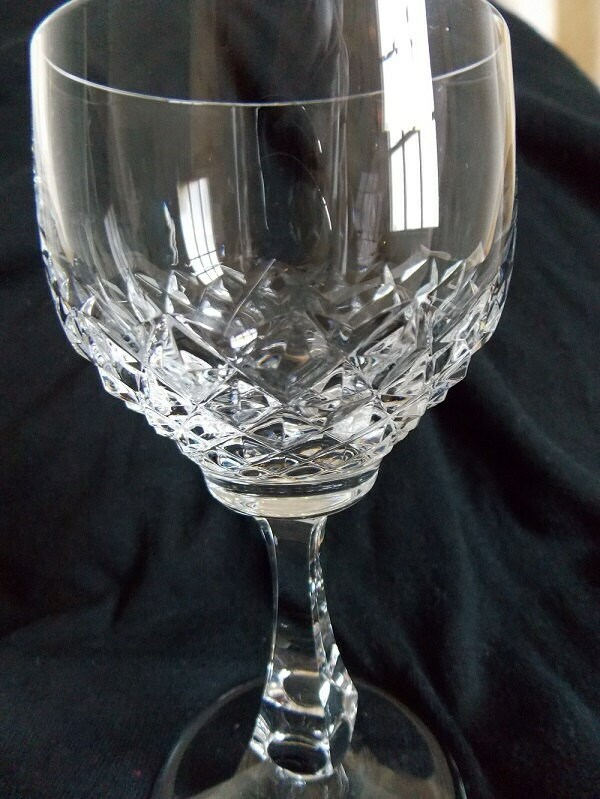 They are etched with the Peill and Putzler logo on the base of the glass.